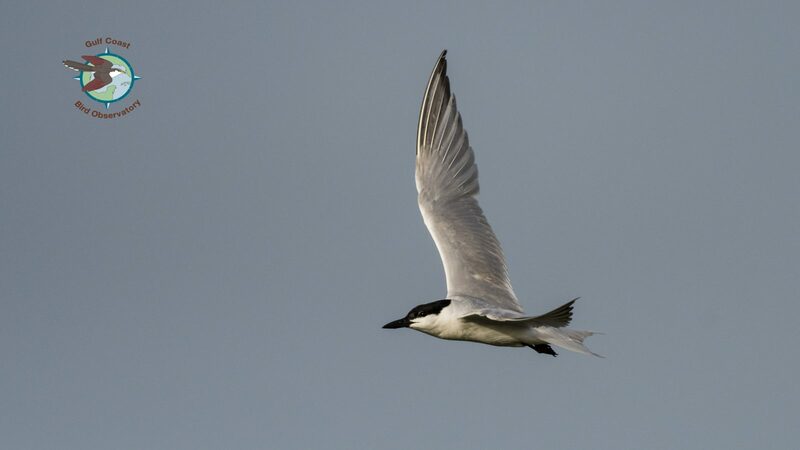 The Gull-billed Tern ( Gelochelidon nilotica ) is an uncommon to common resident along the Texas coastline with fewer birds present during the winter. They tend to stay within 50 miles of the coastline and the majority of records further inland are associated with tropical systems. 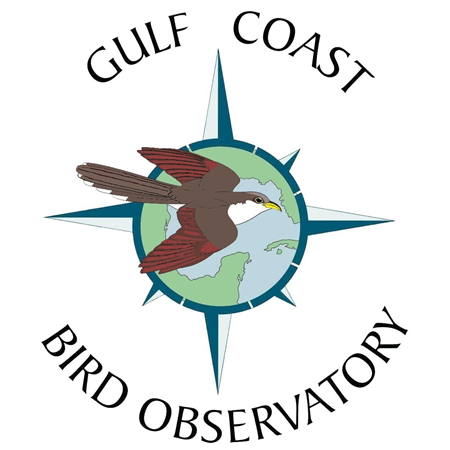 Although they are predominantly a coastal species, they are frequently seen in the South Texas Brush Country and small populations have existed along the western Rio Grande Valley at Falcon Lake and Lake Casa Blanca. The Gull-billed Tern is a member of the Gulls, Terns, and Skimmers and comes from the Laridae Family which consists of thirty-nine tern species of which thirteen have been recorded in Texas. Terns tend to be smaller and more slender than gulls and have straight pointed bills. This medium-sized Gull-billed Tern is most easily separated from other terns by its thick black bill which resembles the bill size and shape of a gull (thus the name). They also have long black legs and during breeding season a dark black cap with dark trailing edges on the long winged primaries. Their short tail is slightly forked. A non-breeding adult lacks the black cap and has a gray eye-patch while the juvenile’s bill is not completely dark and has some plain grayish markings on the back and head. Their typical weight is 6 oz or 170 grams. Their call sounds like “ kayWek ” and the alarm call is a rapidly repeated “ aah ”. Unlike most terns, the Gull-billed Tern has a broad diet and does not depend on fish. It commonly feeds on insects, small crabs, and other prey plucked from the water, mud flats, air, or even bushes. It is also known to eat small chicks of other tern species. Most terns feed by dive foraging into the water, but it is rare to see a Gull-billed Tern dive forage for food. Although mostly restricted to salt water habitats in North America, the Gull-billed Tern is found in a variety of fresh water habitats across Eurasia. The oldest recorded Gull-billed Tern lived to be at least 20 years old and was found in California.